Yellow and gray is such a cool color combo that works so well for weddings and home decor. 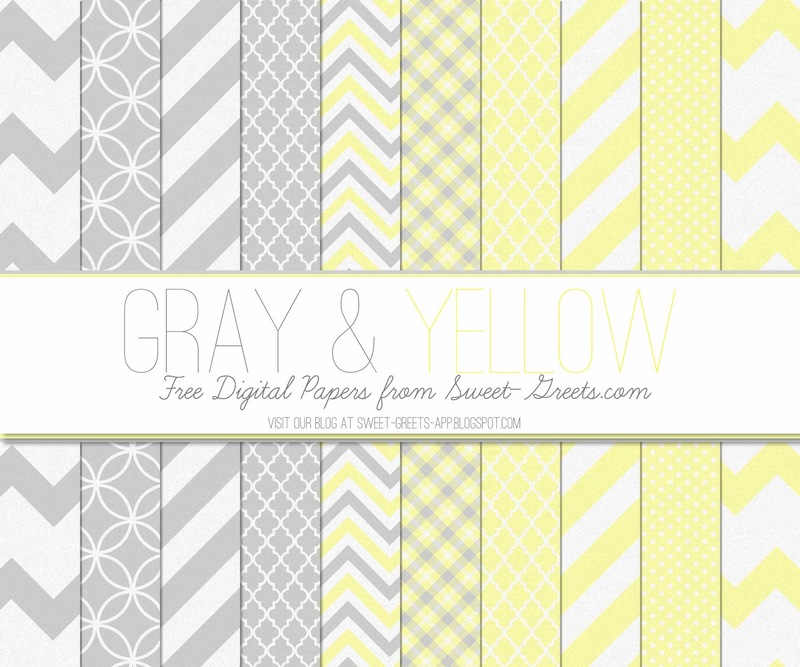 Here's a free set of 12x12 inch digital papers featuring the color combo in a variety of modern patterns, including stripes, chevrons, plaids and quatrefoil. These papers would be perfect for all sorts of scrapbook layouts, especially wedding and baby-themed.